It’s many children’s (and adults!) favorite holiday of the year – and who could blame them! Between the candy, dressing up, and fun decorations, why wouldn’t Halloween be anyone’s favorite holiday? So how do you go about making it the ultimate holiday experience? Memorable Gifts gives you the top treats and tricks to help you plan the Ultimate Halloween season! Read up on tips to prepare your Halloween Bash or Trick Or Treating Routine, how to stay safe, and of course create fun memories you and your children will cherish year after year. 1. Just Treats Custom Candy JarWhy wait until you go Trick or Treating on October 31st to get your Halloween candy fix? 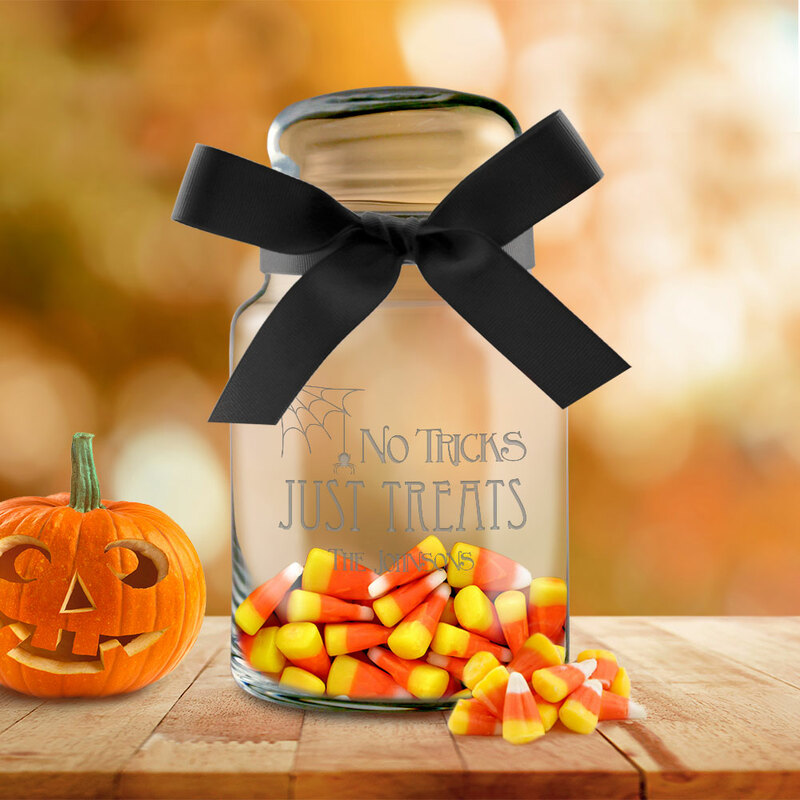 Find no tricks, just treats all month long with this Personalized Halloween Candy Jar! Personalize it with the family name or first name of your choice for a great gift or festive addition to your Halloween get-together! 2. Make Your Own TreatsWhat better to place in your new Halloween Candy Jar than your own sweet creation? Wow guests and create special family memories with fun homemade recipes just for Halloween! 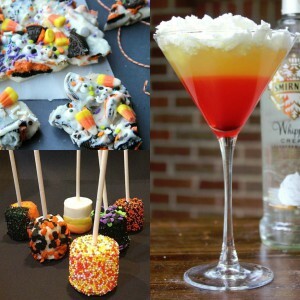 Try Halloween Candy Bark, Marshmallow Pops, and Candy Corn Cookies for the kids or a Candy Corn Cocktail for your adult-only party! 3. 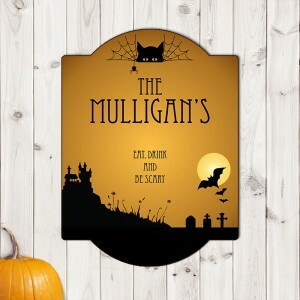 Eat, Drink, Be Scary SignWelcome guests to a Halloween season of fun with this personalized Eat, Drink, and Be Scary Sign! Customize it with your family’s name to let people know where to expect the party. This also makes a great gift for the Halloween lover in your life that loves to go all out on the decorations. 4. 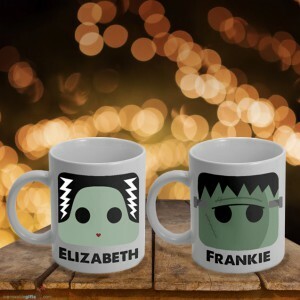 Personalized Frankenstein MugsIt’s time for warm cider and pumpkin spiced coffee! Complete the autumn drink experience with Halloween-themed drinkware like these personalized Frankenstein and Bride of Frankenstein Mugs! Both make the perfect gift to give to yourself or that special someone you know will treasure the Halloween monster goodness. Decorating the Jack-O-Lantern with your kids is one of the easiest ways to make a fun memory and get your house in full-on Halloween mode! After carving the pumpkin, add a glow stick inside to showcase your artwork at night. 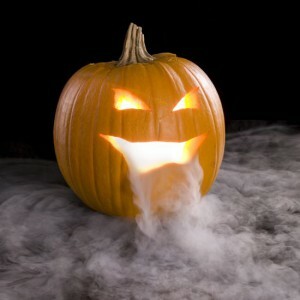 Add some dry ice to create a fog effect, but make sure only the adults handle it with care. 6. 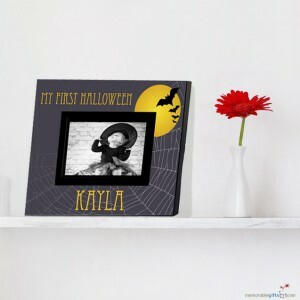 My First Halloween FramePreserve the memory of baby’s first Halloween with this personalized My First Halloween Photo Frame! Show off your memories proudly and complement your décor with this festive and unique frame. Customize it with their name and picture of their adorable first costume, which they’ll be sure to enjoy in years to come. 7. Tricks and Treats BagEveryone needs a treat bag built to last and hold all the spoils of the night! 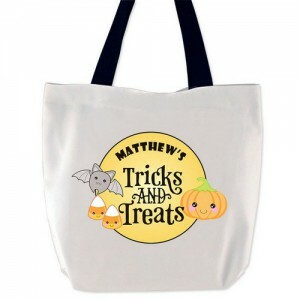 Even the top trick-or-treater will find all their candy collecting and Halloween festivity needs met with this Personalized Tricks and Treats Bag. Customize it with yours or your child’s first name so there’s no confusion whose treats they are! 8. 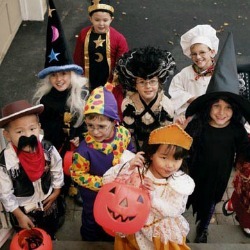 Practice Trick-or-Treating SafetyWith all the heavy trick-or-treating you and your children will do it’s important to stay safe. Plan your route ahead and stick to paths that you and your child are familiar with to avoid getting lost. Stay well lit and carry a flashlight to ensure drivers can see you. Throw away any candy that is not in its original wrapper, or looks as though it has been opened. 9. 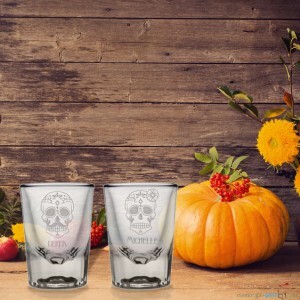 Sugar Skull Shot Glass SetThe Halloween season doesn’t have to end October 31st! Celebrate El Dia de Los Muertos (The Day of the Dead) November 1st with this Sugar Skull Shot Glass Set for Couples! Personalize these shot glasses with first names or nicknames for a truly unique gift no one will forget or want to re-gift.